The Womens Runderwear Comfort Briefs are designed to give you maximum comfort whilst you run. 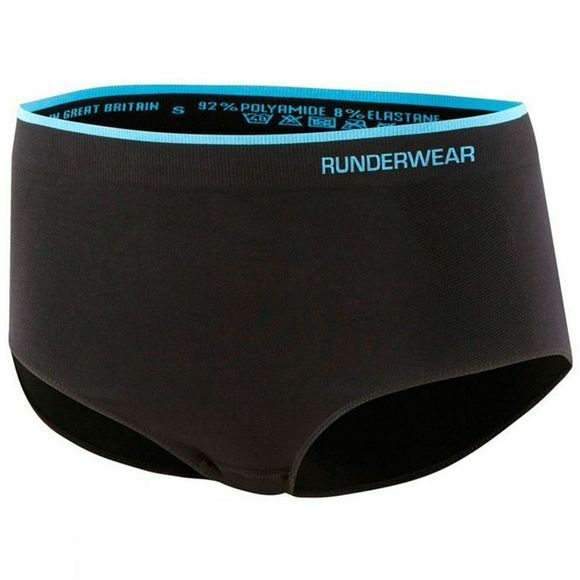 Get support where you need it most with Runderwears seamless technology. Glossary:Runderwear: Runderwear is designed using 360 degree seamless technology construction to give you the ultimate comfort levels you need. The moisture wicking transport system removes moisture from your skin quickly helping you to retain optimum body temperature where you need it most. Runderwear turns the uncomfortable into comfortable; achieving freer, faster movement.